Moissac is a town 40 kilometres east of Agen, and is on the pilgrim route to Santiago de Compostela. Unfortunately much of the town was destroyed by terrible floods in 1930. 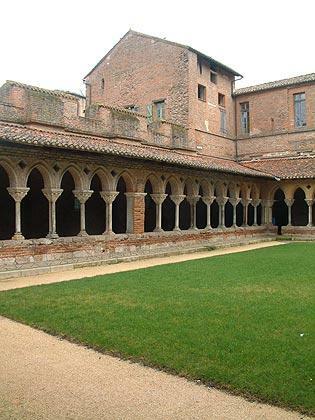 The main reason people visit Moissac is for the Abbey of Saint Peter (untouched by the flooding) and its world famous cloister and porch. Moissac is a pleasant if unremarkable town on the banks of the Tarn river that would perhaps go largely unremarked if it were not for the famous abbey and cloisters that are in the historic centre of the town. However a visit should allow time to explore the town itself. The Moissac tourist office suggests three circuits to follow and these are perhaps the best way to explore and discover the hidden treasures. 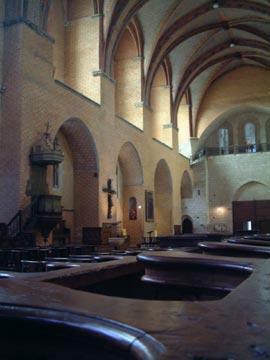 Route 1 covers the historical religious centre; route 2 follows along the Tarn River; and route 3 centres on the west of the town and the parkland around the Carmelite Convent, where the GR65 national pathway passes by the town. 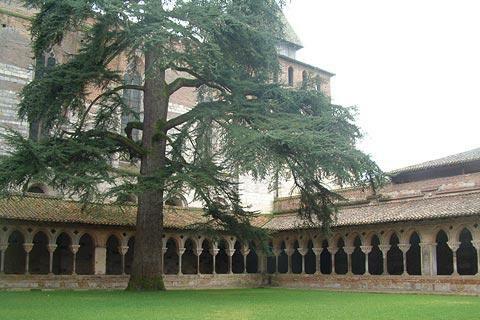 Visit Moissac Tourist Office next to the cloisters for detailed information of each route. The Abbey Church of Saint-Pierre in Moissac dates in part (the entrance and the roman-style cloisters) from the early 12th century and it is these two features that are of most interest to visitors. Reputed to be one of the most beautiful cloisters in the world, there are 76 marble columns (alternating single and double columns) and a myriad of fine carvings on the capital stones, surrounding a pretty courtyard garden. Old pictures exhibited here suggest that the garden was once an ornate tropical garden, although it is now simply laid to grass. 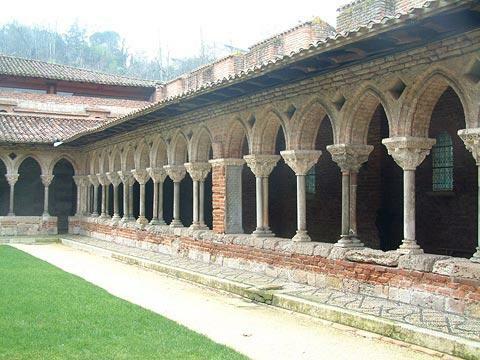 The remarkable cloisters later acted as a model for hundreds of churches elsewhere. 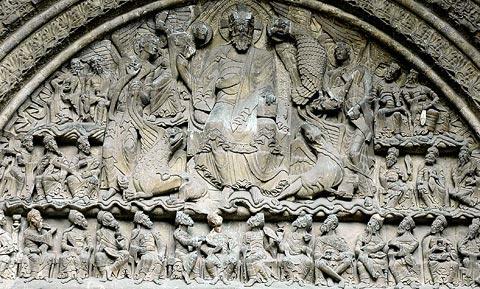 The porch and entrance to the church are similarly magnificent with intricate carvings portraying Christ and the Elders of the Apocalypse. This roman style entrance also acted as a model for many found elsewhere. 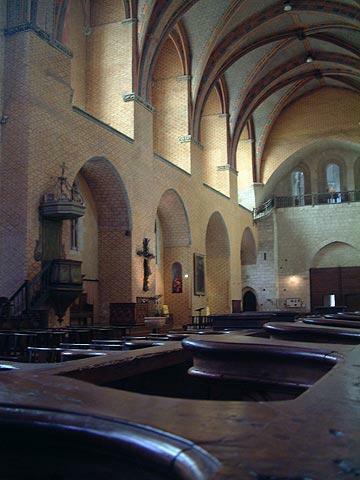 Inside, the entire church is decoratively painted. 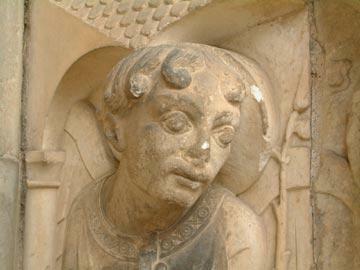 Within the church there are also several items of interest including the sculpture of the 'flight from Egypt' and the 'mise au tombeau', both dating from the 15th century. 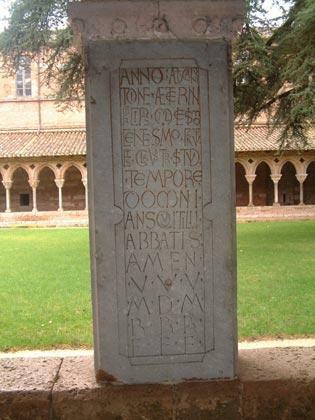 There is an open square lined with cafes just in front of the abbey entrance in Moissac where you can enjoy a drink while the children try to decipher the carvings around the church doorway! The town also contains an interesting Centre of Romanesque Art. Moissac sits on the north bank of the Tarn river, a beautiful stretch of river where an annual jazz festival is held. Among the many villages and market towns to explore in the quiet farmland and vineyards of the surrounding countryside we particularly recommend that you find time to visit Auvillar, a historic village with an unusual round market hall about 15 kilometres south-west of Moissac. The villages of Valence-d'Agen (to the west) and Lauzerte (to the north) are also recommended.